Yesterday, The Sunday Business Post, reported that Taoiseach Leo Varadkar is refusing to give Judge Brian Cregan a 15-month extension for his inquiry into the sale of Siteserv and that he wants to know what the commission has found to date before doing so. 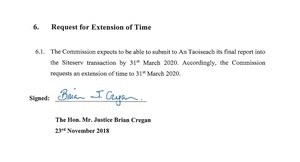 Judge Cregan’s request for an extension last week follows three other similar requests since the commission of investigation was set up in 2015. 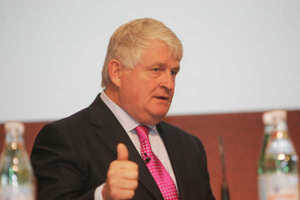 The 2012 sale of Siteserv, to a company controlled by Denis O’Brien, Millington, is just one of 38 debt write-offs involving IBRC, formally Anglo Irish Bank, that Judge Cregan is tasked with examining. Siteserv is now called Actavo. 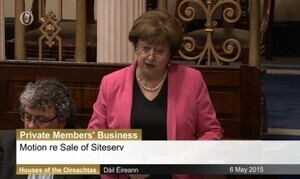 “The possibility of the commission of investigation, which is examining Siteserv and other IBRC loans sales, being scrapped entirely was raised at a meeting between the Taoiseach and opposition party leaders earlier this month. There are mounting concerns over the several missed deadlines and rising costs previously estimated at up to €25 million. 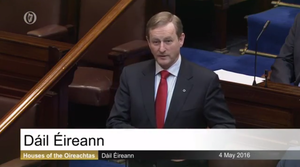 A Dáil vote would be needed to scrap the inquiry completely. “What concerns me about the commission is that the format it is following is akin to a tribunal of inquiry rather than a private investigation. There seems to be a highly legalistic approach. 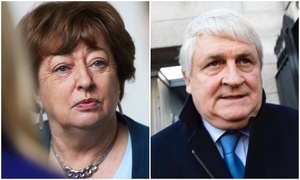 Posted in Misc and tagged Catherine Murphy, Cregan commission of investigation, Siteserv, Sunday Business Post at 11:24 am on December 17, 2018 by Bodger. He who cannot be named must be fed though. Siteserv. Actavo. Broadband. And whatever his FG mates are having. 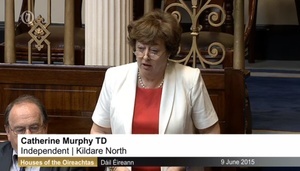 Keep at it Deputy Catherine Murphy, the public, I believe, is strongly behind your efforts in this matter and many others. Thank you for your persistence.